Agritourism offers a new way for tourists to enjoy their free time, based on being welcomed into the farmer’s house, shown what takes place there on a daily basis and getting involved in the rural world. In terms of agricultural activities, this might involve farming, livestock rearing or the production of handicrafts. The host farmers give their visitors an insight into their way of life and offer the chance to get involved in and experience the true rural world. The welcome extended to visitors is more than just a hotel-style reception – the aim is to seek a genuine connection between the host farmer and the visitors and exchange experiences to the benefit of both parties. Agritourism is a key factor in sustainable development; it promotes mutual knowledge and respect; it is open to people of every kind; and it gives visitors an insight into a way of life attuned to the local habitat. ABELORE is the Agritourism Association of Navarre. It was founded in 2004 and now has 26 farmhouses across the region. These rural establishments differ from others in that as well as the usual accommodation and meals package they offer visitors the chance to take part in everyday farm activities such as working in the fields or looking after livestock. The aim is to give visitors an insight into the lifestyle, customs and culture of the people who live in the rural medium. At the same time, the idea is to achieve a convergence between tradition and modernity, with many of them offering facilities such as the Internet to cater to the modern traveller. 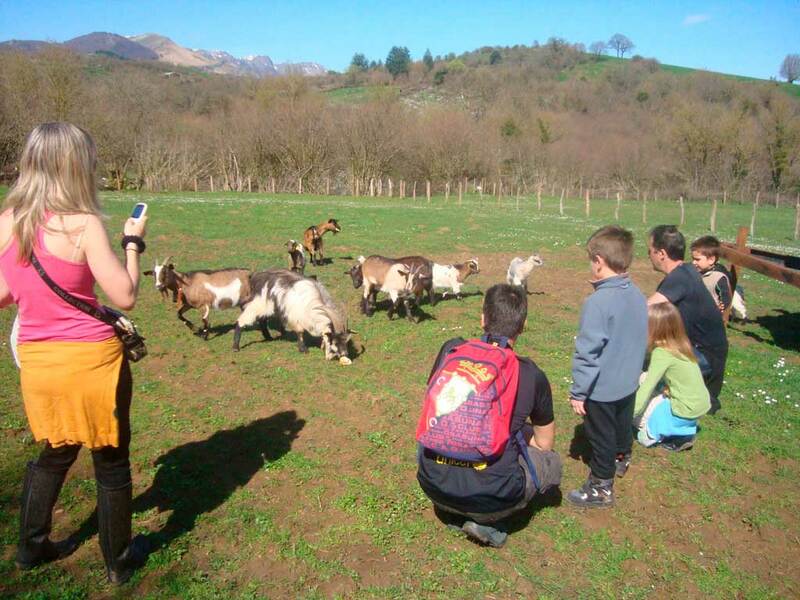 The owners of the rural properties that belong to the Agritourism Association of Navarre, ABELORE, are committed to this vision of our activities, to bringing an innovative cultural component to the tourism industry, and to maintaining the quality standards demanded by visitors. Our commitment is to our customers and our land. We offer our agritourism activities as another alternative for revitalising our villages and their surrounding areas and to contribute to further developing our culture and our way of life.